Julian Draxler haspraisedhis trainer Thomas Tuchel and warned against Kylian Mbappe against France on Tuesday night before the Nations League match. Cologne (SID) – Footballer Julian Draxler of the French champions Paris St. Germain has praised his coach Thomas Tuchel and before the Nations League match on Tuesday evening (20.45 / ARD ) at the Stade de France against World Champion France in front of his club colleague Kylian Mbappe warned. “If he has the place to go, it’s nearly impossible to recapture him with his sensed 300 hp,” 2014 World Champion Draxler told the news portal t-online .de. 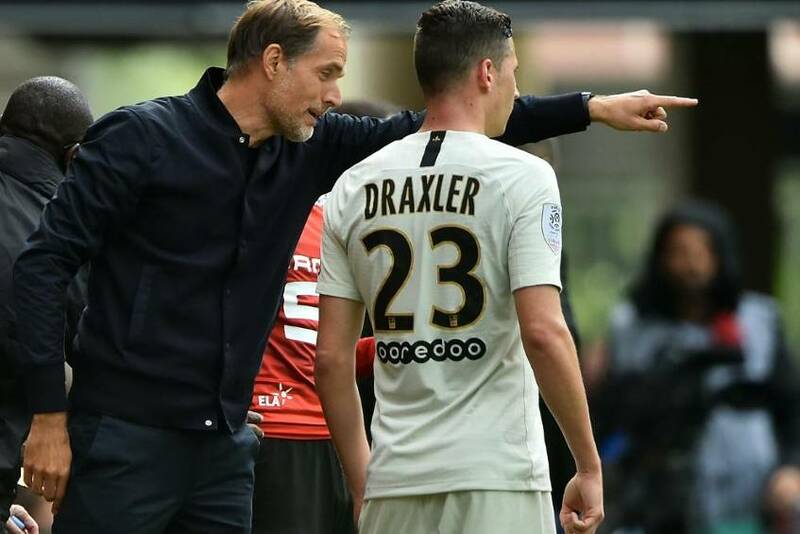 After the start record of Paris St. Germain with nine wins in Ligue 1 is Draxler full of praise for Thomas Tuchel . “He spreads a good mood inside and out, lets play an attractive football, he has clear ideas and gives us these very well internally,” said the 25-year-old. Tuchel but sometimes show a different side. “After losing to Liverpool, he told us very clearly what’s wrong with it – not everything was peace, joy, and pancakes on the way to success – but that’s also why he does it very well and has the team on his side,” said Draxler .